A century-old beverage company with dominant market share may not be the first place you think of as a center of innovation and digital transformation. 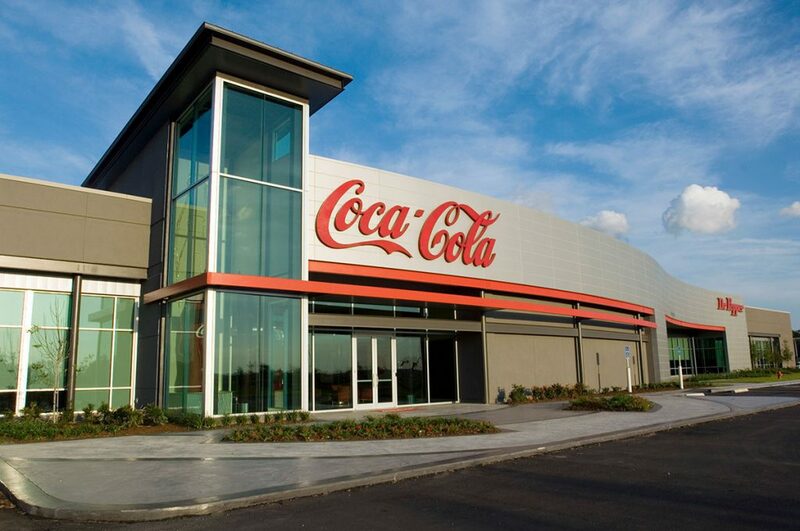 But as the participants in our Leadership Coaching Series witnessed first-hand recently, the Baton Rouge Coca-Cola Bottling Company is absolutely at the forefront of technology and innovation in their industry. Our group of business leaders visited the company’s Baton Rouge Production Center on Plank Road near the Baton Rouge Metropolitan Airport as part of our 5-week Leadership Coaching Series, which features competency-based leadership assessments, experiential learning, individual coaching and development planning. Sales Center Manager Toby Guidry shared his insights into the importance of building relationships with employees, listening to customers and managing transformation by focusing on people. We finished the day with a tour of the sprawling and impressive facility, where we witnessed up-close how this community leader continues to innovate. The Baton Rouge production facility is part of Coca-Cola Bottling Company UNITED, founded in 1902 and headquartered in Birmingham, Alabama. It’s the second largest privately held Coca-Cola bottler in North America and the third largest bottler of Coca-Cola products in the United States. The numbers coming out of the plant are staggering. The production facility employs more than 500 people totalling 5,900 years of service and produces 40-50 million cases of product annually across roughly 700 distinct items. Some 9.3 million cases of beverages are sold in the Baton Rouge area alone. The company has continued to produce these incredible volumes of product at a high level despite undergoing a host of organizational and technological changes in recent years. The Baton Rouge center’s parent company has grown from 3,000 employees to 10,000 employees in a few short years, while the local plant has implemented a host of new digital processes and other innovations across the operation. “We were in change four or five years ago, and we’re still in that mode today,” Guidry says. Guidry says when the company was implementing its new digital systems, they took time to gather experts of each part of the bottling process and work with them to come up with the best solutions for the new technology before rolling it out. They also heavily leveraged their internal Learning and Development Department, allowing employees to seek out instruction on the new processes multiple times if necessary. “You have to stay in touch with your people,” he says. All of that care, attention and people-centric approach to transformation was on display during our recent tour of the factory floor. From the lab technicians constantly monitoring quality control and the machines that process hundreds of beverage containers each minute, to the high-tech screens displaying the real-time efficiency of various bottling processes, it is a truly impressive facility. 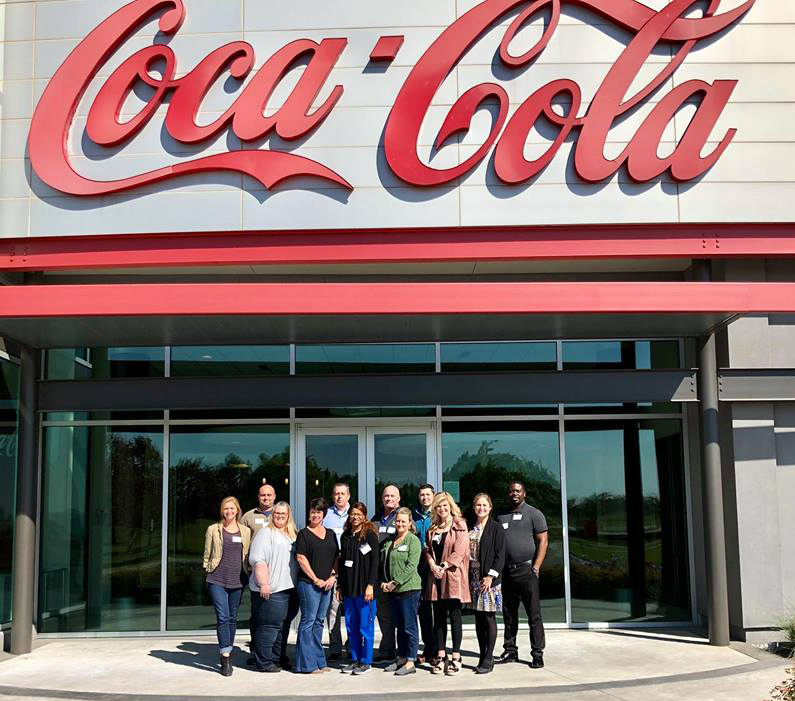 At Success Labs, we were grateful for the opportunity to spend the day at the Baton Rouge Coca-Cola Bottling Company learning about creativity and innovation. We couldn’t have asked for a better host and location as our Leadership Coaching Series participants continue their development journey.